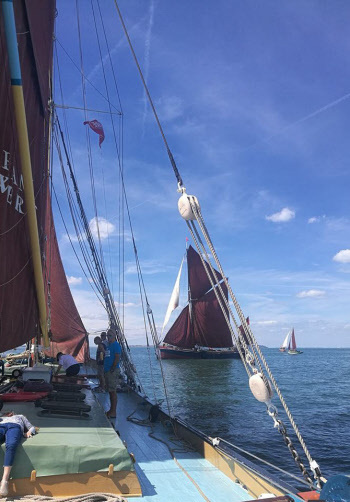 Although Greta no longer carries cargo she still works providing Thames Sailing Barge day trips for individuals and offers private charters from Whitstable Harbour Kent, The sailing season is usually from Spring (April/May) till late Summer (Sep/mid Oct). During the winter months she is moored at the Standard Quay Faversham, Kent. You can also have private use of the 'GRETA' Thames Barge by chartering the barge for the day. The Sailing Season is usually from April/May up to the end of September or if the weather is suitable for sailing, mid October. TO BOOK PLEASE CONTACT US ON 07711 657919 TO MAKE A BOOKING.